There is a new generation of new music ensembles that can be defined as much by their media coverage and venue choices as by the composers that they choose to perform in concert. 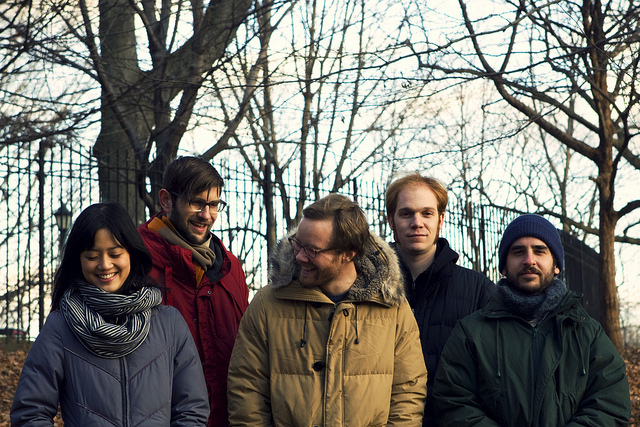 While the new music ensemble is not a new concept (peep at Continuum’s website), there is a new aggregation where the musicians look like they could be playing out-of-tune indie rock. And they commonly play their own compositions. Central Florida has a 1990s history- richer than most tertiary serious music markets- in having a crack at these ensembles, thanks to Atlantic Center For The Arts’ innovative Music In Motion program. MIM mated an American ensemble with a composer, dictating that no material was to be pre-determined until the parties were face to face. New Smyrna Beach, Orlando and Winter Park were able to see new music crews Relache, Present Music and Zeitgeist in action, sometimes only “classical” in instrumentation once the compositional ideas were fleshed out. The instrumentalists, however, still had the visual signatures of the orchestra musician, a tell famously negated by Kronos Quartet, East Village leather coats prominent and Hendrix emanating from their fingertips. The next wave-heavily assisted by a collective arts editor’s gleem- seemed to be led by Bang On A Can, performing their compositions in unseemly marathons (in modern times the province of Jerry Lewis) and elevating the interloper’s Minimalism of Brian Eno to concert music status. What has transpired post-Bang On A Can is the idea that anything is possible. Alarm Will Sound play Aphex Twin, Dirty Projectors and the pop form mutilating sound of The Shaggs in concert. So Percussion pose in promo photos with hammers threatening coffee mugs and have a program with electronic iconoclasts Matmos. The four electric guitars populating Dither paint volumes of pedal-modified gain stage into their versions of established NYC avant literature. With all these possibilities now the apples of an arts editors’ eye, Build proffer a furthering reimagining, most observable in drum kit-forward performances that have been equated to post-rock via a Minimalist and rock music fusion. The ensemble’s two albums– Place and Build:Build operate on cleaner lines and timbre than the dub and electronic fusions that are common amongst post-rock productions. As much as a Steve Reich influence, you might liken composer Matt McBane’s feel to (warm up your obscure reference modulator now) Bobby Previte’s Bump The Renaissance group, substituting strings for horns and the ebulliently melodic early Love Tractor recordings, substituting acoustic strings for electric. Build perform twice in Central Florida, first at Timucua white house (for a precedent-shattering Friday night show) and then for Atlantic Center For The Arts’ ACA Exposed fundraiser on Sunday, November 13th. Tags: Atlantic Center For The Arts, Build, Civic Minded 5, cm5, new music ensembles, Timucua Arts Foundation, Timucua white house. Bookmark the permalink.